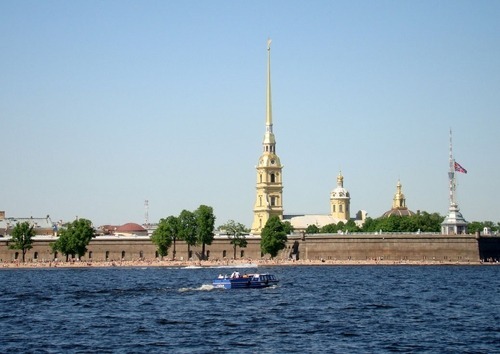 Is St. Petersburg Russia worth visiting? 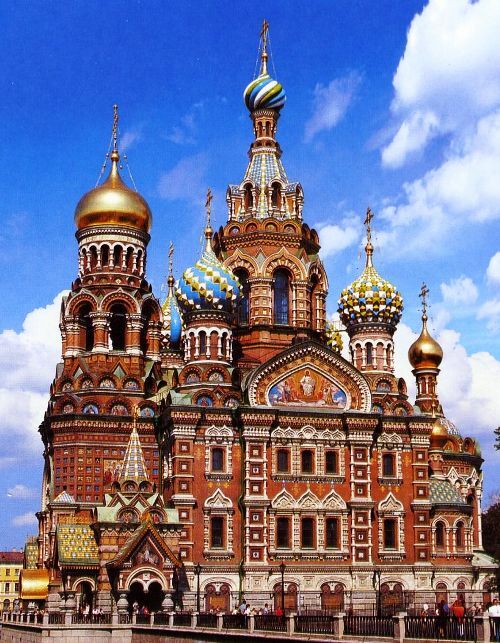 St. Petersburg is a beautiful port city on the Baltic Sea that has a rich history and cultural offerings. As the second largest city, geographically, in Russia it boasts a population of over 5,000,000 residents. Being that it is a port city its economy is centered around trading but also has its hand in just about everything else. It is a popular tourist destination as it offers travelers a mixture of historical and cultural attractions. From an overwhelming number of museums to relics of wars past, this city has a lot to offer. 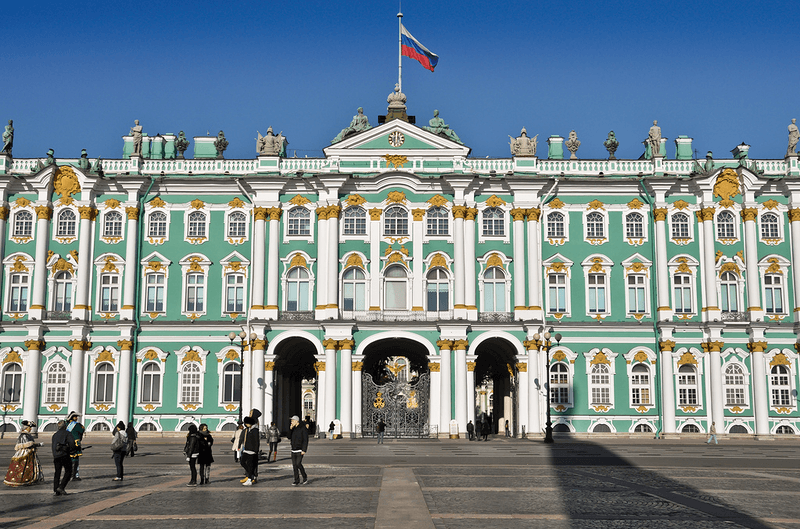 The Hermitage Museum offers tourists a balanced mixture of art and culture. It is known as one of the oldest museums in the entire world as it was founded in 1764. Along with having a history all its own the museum is also one of the largest of its kind in the world boasting 11 different collections ranging from Egyptian Antiques to Swiss fine art. There is something here for even the toughest of critics to wonder and marvel over. The collections cannot all be seen in one day so it would be wise to have a plan if you have your sights set on visiting this massive museum. This has to be the most noticeable building in the city whether it be from land, sea, or air. Originally built by Peter the Great around the year 1703 it has served a multitude of purposes over the years from fortress, to citadel, prison, museum, and tourist attraction. It has been restored over the years to keep the historical look intact after some massive damage and has served as a tourist attraction for almost a century. People come from all over to get a first hand look at the prisons that once housed very famous historical figures. When looking at the history of Russia and how far back it dates this museum is still fairly young. It was opened near the turn of the 20th century in 1895 to house art that was taken from other museums and galleries. The buildings themselves are much older than the museum and had housed a number of imperials of note over the years as they served as living quarters at times. As of today it is the main overseer for all other museums in the country. You can view a large range of artworks here consisting of many different niches. Built in 1717 as a summer “home” for Catherine 1 this palace has gone through many changes and renovations in its time. It is said that renovations during her reign were in the range of six hundred thousand rubies plus monies supplied by Catherine herself so it is hard to give an exact figure. The palace was all but destroyed during the Second World War and has been mostly reconstructed since that time. To this day it is used for many major cultural and political events from everywhere around the world including some of the biggest stars in music. 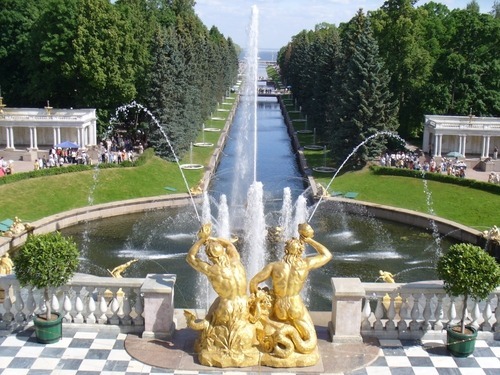 Peterhof, sometimes spelled Petergof, is actually a small town and not just a regular tourist site. This town acts as a municipality of the larger city of St Petersburg and has seen a lot of changes to its identity throughout history. Areas of interest would be the grand palace that sits just above the shoreline almost fifty feet above sea level. A campus of the St. Petersburg State University is situated in Peterhof and houses some of their science institutions. 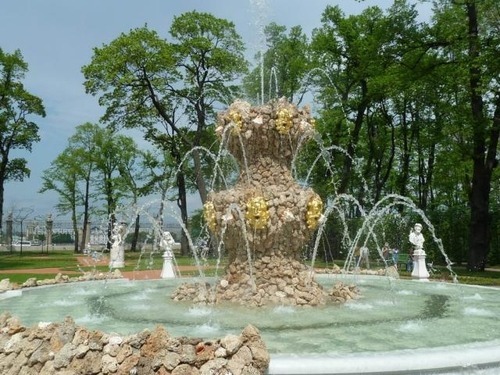 There is also an array of gardens and fountains to take in while walking through the streets of St Petersburg’s Peterhof municipality. The Russian Orthodox Cathedral was built over a 40 year period ending in 1858 and was not the first to be build on the same site. This was the fourth of such cathedrals built here to appease certain rulers at the time. It may be familiar too many people because of the massive dome on top at the larger than life pillars adorning the front entrance. 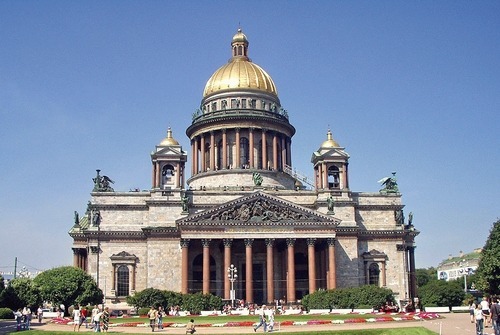 Since the end of communism in Russia this massive cathedral serves a dual purpose for the citizens of St Petersburg. There are regular church services held area every week with the rest being a museum for the general public that are not worshipers. This is another of the many church’s that St Petersburg is known to host. It was originally built close to the turn of the twentieth century in 1883 at the request of Alexander the Third to act as a memorial in honor of his late father. It was a very drawn out process which was not completed until 24 years later. It is best known for having an architectural style that stands uniquely on its own among all of the other Russian churches. The church was reopened in 1997 after a lengthy restoration and acts mainly as an art museum and gets thousands of visitors every year. 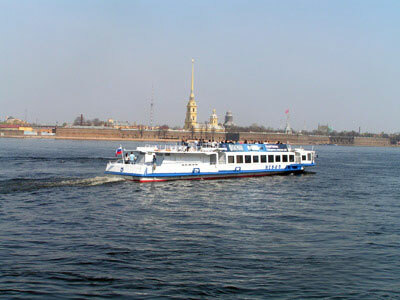 Traveling along the River Neva by boat tour offers tourists a one of a kind experience and unique way to see the sights of St Petersburg. It is rich in terms of history as it is one of the largest rivers in Eurpoe and can be traveled to get directly out to the Baltic Sea. As it is a relatively short river at 74 kilometers long you can take the tour in a day if you would like or you can stop in the many towns and cities along the coast. St Petersburg, of course, is the main tourist destination for these tours as it offers an enormous amount of attractions to keep visitors busy. This massive garden was first developed at the turn of the 18th century in 1704 under the orders and design of Czar Peter. He used contracted the help of some premiere Dutch gardening experts to plan this massive undertaking and kept them on as staff in the early days. The walking areas in the Summer Garden offer a spectacular view as most of them are lined with statues depicting some of the historical figures in earlier days. These statues are now just replicas as the curator did not want to risk having the originals damaged but they still have the same awe inspiring effect on tourists. 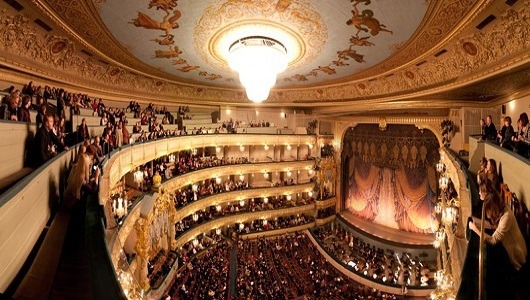 For opera and ballet lovers the Marlinsky Theatre is a must see if traveling through the city of St Petersburg. It was originally opened in 1860 but the history of opera and ballet in the city dates back much further. The theatre still holds events in the present day and has had its hand in starting the careers of numerous world wide opera singers and ballet dancers. It even has its own record label to produce and promote their in house artists. Places ballet, coolest places in st petersburg russia, historical sights, interesting places petersburg, is st petersburg a good place to visit, is st petersburg in moscow, is st petersburg russia safe, is st petersburg worth visiting, most popular sights St. Petersburg Russia, museums, The Hermitage Museum, top 10 tourist attractions St. Petersburg Russia, what to do in st petersburg russia. permalink. I can add 2 more places to this list, not a church and not a palace! These are Erarta, the museum of contemporary Russian art, and Museum of Cats! The first one is a real deal, loads of different arts, so interesting, and the second one is small but cozy and sweet for cats lovers! Amazing architecture, lovely views from those canals. The best city of all Russia that I seen. All European artists live there in many artworks. All European artists live forever in his artistic heritage.